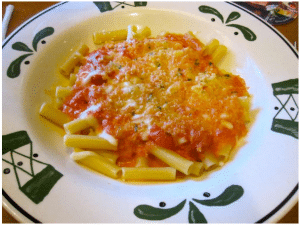 The Olive Garden secret menu is completely unknown to many – the majority of secret menus come from fast food and lower-class restaurants than Olive Garden – but the secret items are just as innovative and delicious. The interchangeability (people can mix and match items for samplers, different sauces on different entrees, and more) makes for a much more easily customizable dining experience, along with some added extras. Check out the rest of the secret menu options below! 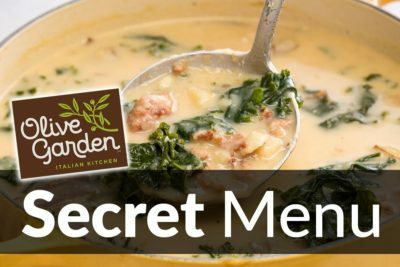 What is on the Olive Garden Secret Menu? Just about any respectable restaurant has a sampler of its main dishes. But often they are too restricted to the most popular ones, or select options that are easier to make, so many miss out on the meal they really want. Sacrifice no more. 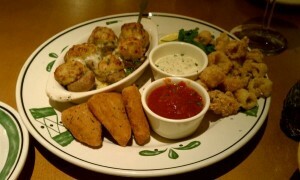 Olive Garden will often let its customers mix and match their samplers, essentially, substituting whatever dishes match you best and even adding extra portions if you just want more of a certain dish. 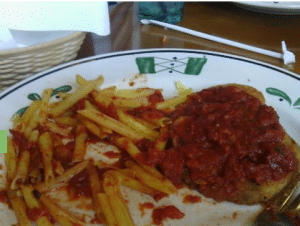 For example, if you wanted a sampler of three dishes, but all you like of the options was Chicken Parmigiana and the Calamari, you could get a second order of Chicken Parmigiana and simply enjoy the dishes you know you like, rather than take an expensive gamble on a dish you aren’t certain of. Just ask your server, and most often, they’re willing to oblige to keep their customers happy. Mix and match to your heart’s content! Customizing what goes into a stuffed ravioli pasta dish is not a concept that is very pronounced in the Italian food industry. Many are prepared ahead of time, so it’s hard to meet the needs of each separate customer when dishing out major quantities of ravioli. That being said, Olive Garden does its best to supplement this shortcoming with great customer service and mutability to meet the needs of the consumer. Ask nicely, and they will do all in their power to substitute or remove a vegetable/meat in your ravioli. Due to a preliminary preparation of the raviolis, this option is not always a possibility, but don’t hesitate to ask. Most employees are happy to do their best in serving the exact meal you want. 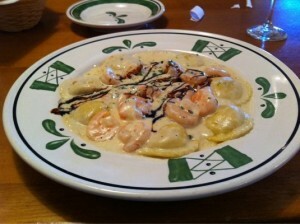 Olive Garden may charge a premium for their service and delicious food, but you really do get what you pay for. For those who want to save the animals, there are many options on the Olive Garden menu that don’t require killing a soul. And for those irresistible entrees that you want, but don’t want to include meat, you can just ask for them to substitute it with a vegetable, or more pasta, in some cases. The downfall to this is that with the meals that include meat, you pay a premium for a good cut of meat tenderly cooked to perfection, but you forfeit the meat. Try to avoid ordering something with meat, only to get just the pasta, because you’re innately spending more money than you should. However, sometimes duty calls, and it’s understandable if you want to spend the extra few dollars for the best meal – even if it doesn’t have meat. Do your best to find an option without meat initially, but if you can’t discover the perfect choice, the Olive Garden staff is always willing to help you find the right fit. Be you a marinara monster or an alfredo addict, you can often ask for extra sauce in whatever classic Italian entrée you decide on. You may be charged extra for the added flavor, but in many cases, they do not charge you (as it is of very little detriment to them). Just ask, and you’ll definitely get what you want. If you have to pay for it, it’s probably worth the extra kick of flavor anyway. 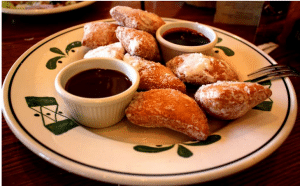 One of Olive Garden’s signature desserts is zeppole – a fluffy Italian doughnut covered in powdered sugar and served with a side of hot chocolate sauce – is highly popular among its customers. An issue with the dish, however, is that those who love zeppole but hate chocolate must endure a dip-less dessert. Let the truth be heard! Chocolate haters can order zeppole in peace. All you have to do is ask your server, and they’ll provide an alternative sauce, often a delicious raspberry flavor. That’s not even the limit, too. Inquire about what they have available, and you may learn about even more delicious dipping alternatives. Enjoy a new way to eat zeppole! The name says it all. 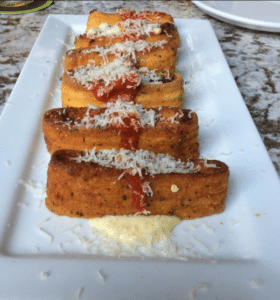 At Olive Garden, often times dishes will be filled with cheese, laid on a bed of cheese, and doused in a syrup of melted cheesy cheese. 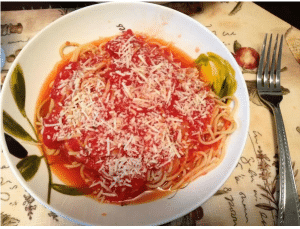 That might be a slight overstatement, but Italian restaurants certainly lay it on thick with the dairy, and for some, it might be a detriment, despite the deliciousness. All that cheese can contribute to massive calorie counts on not-so-massive meals, a lot of dairy (which can be bad for you in excess), and sometimes a bad bathroom experience after the fact. So, just ask for less! It’s as simple as that. Your server is there to help you, so explain that you’re lactose intolerant, and they’ll remove cheese from the equation. Tell them about your diet and they’ll minimize the cheese so you can get a healthier dining experience. With something as finicky as the amount of cheese on your meal, the customer is always in control. Create the meal you want. All you have to do is ask.